Ductless split systems have become a surefire way for many homeowners to get reliable access to a solid cooling (and often heating) system. If you’ve just finished a recent addition project, if you can’t have ducts in the first place, or if you just like the benefits that a ductless system can provide, you might be thinking about having one installed in your home. But why should you do it before spring? Why purchase something before you even need it? We’re happy to say there are actually a bunch of reasons! And we’re also happy to take some time to tell you about them. Interested in learning more about a ductless mini-split installation in the Delmarva area? 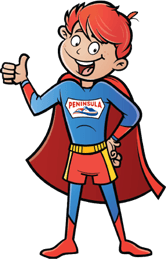 Contact Peninsula online today! Whether we’re talking about a ductless installation, a central cooling system, or even a furnace for the next winter, our experts always recommend making a purchase in what is called the HVAC off season. Off seasons are basically any time when that system type isn’t currently in use. That means for a cooling system the off season is fall and winter, and for a furnace it’s spring and summer. Off seasons are the number one time to find a good deal. Manufacturers will often sell at a lower price during these times or be running specials. And similarly you’re also more likely to encounter relevant deals from your chosen HVAC contractor that might save you on labor, parts, and other stuff. It’s also just a far less congested time. That means your contractors have more time and can give you a lot more flexibility and priority in scheduling. In a bubble it makes sense to wait to get something when you actually need it. But in practice it can cause some complications. Maybe you have trouble getting a good date lined up, or maybe the unit you ordered ends up having problems, or you need certain work done on your home before you can install a new system. Any of these cases, and many more possible ones, will all lead to you being stuck without a proper cooling system on that first hot spring day! So why buy now? So you don’t have to stress or keep watch on the weather. Get it done now and you’ll be prepared for anything that might come your way. And There are Air Quality Benefits! Aside from the convenience, ductless systems have been making a name for themselves through the cutting edge and dual filtration systems they make use of. These filtration systems are good for the unit, of course, but they can help you out, too! 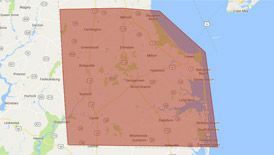 Both Delaware and Maryland both deal with some serious air quality issues, and of them pollen in the spring is one of the worst. So why not have a ductless system in place and working in your favor before the hay fever and sneezing come a-calling! Looking for top-class and trained professionals to help you get the ductless system you’ve been eyeing? Call Peninsula today by dialing 302-629-3001 or contact us online to get your quote and consultation!